Is the Sympathetic Stress Response Bad? Stress can definitely make you sick and stuck but we need stress to grow and learn! If you put two people the same age, height, weight, jobs and marital status, etc. and expose them to the same stressful situation, what do you think will happen? You will observe that one individual thrives while the other individual becomes sick. The resultant sickness was not the stress because both individuals were exposed to the same stress. The sickness resulted because of how each person responded to the stress. Their individual engineering either effectively dissipated the stress or stored and amplified the stress. Simply put, if your nervous system is able to effectively dissipate the stresses that it is exposed to, regardless of whether the stress is physical, emotional, mental, spiritual or chemical, it will allow your body the flexibility to thrive in the circumstances. But, if your nervous system is unable to effectively dissipate the stress that it is exposed to, regardless of whether the stress is physical, emotional, mental spiritual or chemical, it stores and even amplifies the stress, moving the body toward overload. The sympathetic stress response is not a problem in itself. The response is simply an adaptation to a stress we sensed and perceived in the environment. When we have sympathetic stress response that increases neural tone, the body will do something about it. It takes 8-10 minutes for a healthy adaptive individual to experience going into and coming out of stress. The whole point of stress is to learn from it so that we come out of it all the better for the stress. We must learn to adapt to the stress. When we don’t adapt well and stay stuck in a stress response then we haven’t fully learnt the lesson from our stressor. The sympathetic stress response becomes a problem when we are unable to fully adapt and dissipate the stress. We get stuck in a sympathetic response creating sympathetic dominance. We’re going into our next environmental exposure a little less adaptive, a little less capable. Being unable to fully adapt to the environment takes its toll on the body as the events add up. With sympathetic dominance, when the same stress is perceived in the environment, an appropriate stress response is launched. However, the stress is not fully experienced. The stress response did not appropriately shut down, leaving you stuck in a sympathetic response. In this case, the nervous system cannot fully appreciate the stress and learn from it in order to adapt. This situation creates a patterned response. The danger with a nervous system that is unable to adapt to the surrounding environment is the perpetuation of the sympathetic response neurochemicals, musculoskeletal subluxations and increasing the tone and tension on the spinal cord. 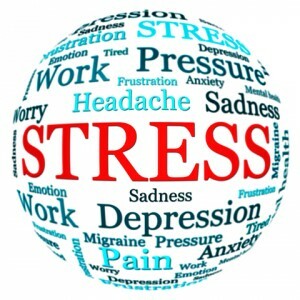 A prolonged stress response makes us vulnerable and susceptible to chronic disease and an unfulfilled life. Where do you think you fit? Do you think you have a healthy adaptive response to stress or do you think you store and amplify the stress? Click here to see if your nervous system has been exposed or is experiencing too much stress.